The CZ 75 SP-01 SHADOW is a pistol made in the Czech Republic that has both semi-automatic and selective fire variants. First introduced in 1975, it features a staggered-column magazine, all-steel construction, and a hammer forged barrel. It is well known for its quality and versatility and is widely used throughout the world. 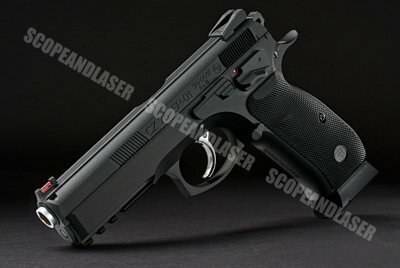 The CZ SP-01 is designed and manufactured to be used by special units of the armed forces. Thanks to its unparalleled accuracy, unfailing reliability and high stability while shooting quick shots this handgun is getting more and more popular even among IPSC sport shooters. 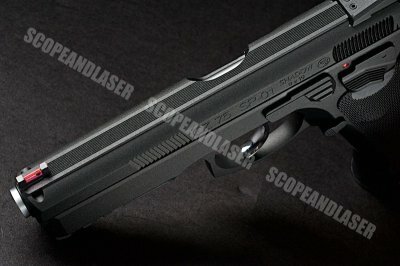 While the KJ Works CZ SP-01 Shadow may look amazing, the feel of it with it comes to the materials and the way it shoots is just as brilliant. It features a polymer frame with a metallic slide. On the frame itself is a accessory rail for all your accessory needs. The grip is textured and comfortable to grasp, as it should be since it kicks like a mule. You can expect all the correct markings to be there as it is fully licensed by ASG, beautiful replica and realistic. It cycles very smoothly as it clocks in below 300 fps, which is great for CQB. 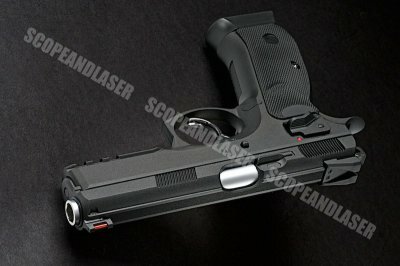 It comes with its own 25 Round magazine made specifically for the SP-01 Shadow. There is also a GAS version and the CO2 magazine is compatible with this version. 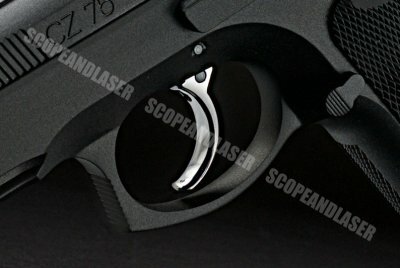 -Polymer frame with a metal slide. 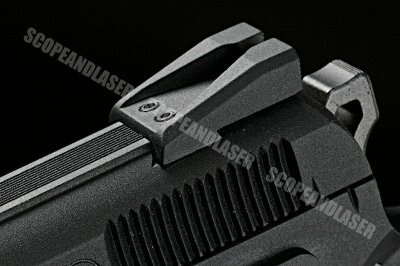 -A textured grip for better handling.